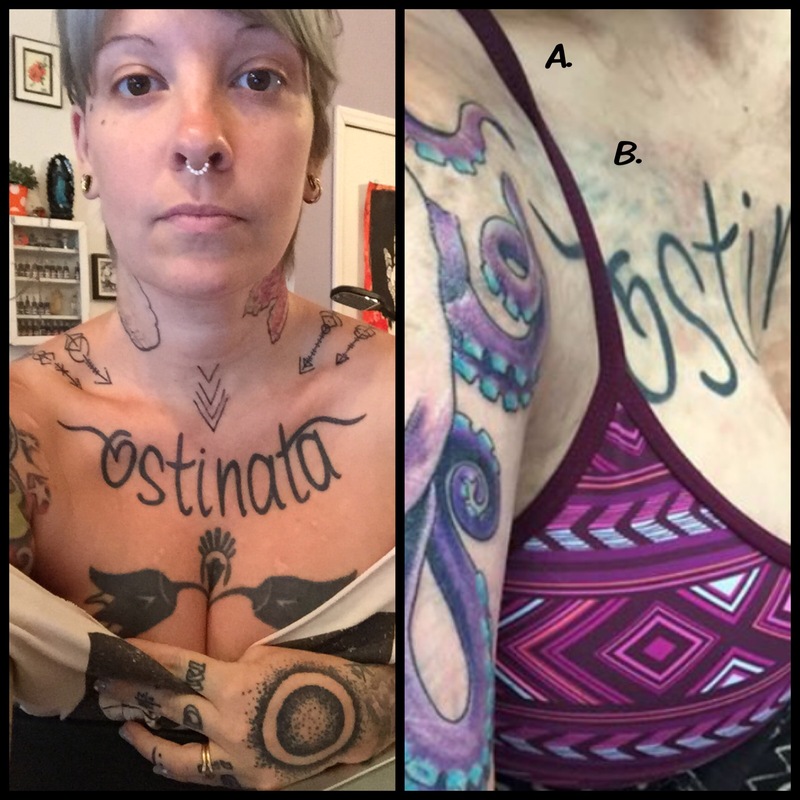 Stealing Tattoos is Lame: A Reminder…. It’s been a little over a year since this originally came to my attention*, but I just wanted to remind the world that Claudia, (a former friend and client) stole my chest piece, not once, but twice. A. First stolen piece: removed. B. Second stolen piece over removed tattoo. *You can expect this update yearly.